MOHNTON, Pa. – Starting the NHRA Mello Yello Countdown to the Championship in ninth place, defending Pro Stock world champ Bo Butner is well aware of the position he’s in heading into the playoff opener at this weekend’s 34th annual Dodge NHRA Nationals at Maple Grove Raceway. For Butner to have any shot at repeating in the loaded Pro Stock class, he knows he needs to get off to a quick start in his Jim Butner Auto Chevrolet Camaro. Butner is just fine with that pressure, even if it means having to advance to the final round or win his first race since the season-opener in Pomona. The past three races indicate Butner may have regained his championship form, leaving him focused on repeating his Pro Stock event win from a year ago at Maple Grove. 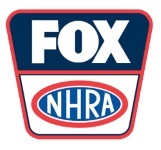 Brittany Force (Top Fuel), Ron Capps (Funny Car), Butner (Pro Stock), and Eddie Krawiec (Pro Stock Motorcycle) were all winners of an event that will be televised on FOX Sports 1 in 2018, including final eliminations coverage starting at 7:30 p.m. (ET) on Sunday, Sept. 16. It is the 19th of 24 races in the 2018 NHRA Mello Yello Drag Racing Series season and the first of six in the Countdown to the Championship, and Butner enters the playoffs having regained his confidence. The team went through a troubling spell of six first-round losses in a span of eight races, a stretch even more frustrating after the team’s hot start to 2018 included the Pomona win and three final rounds in the first four races. 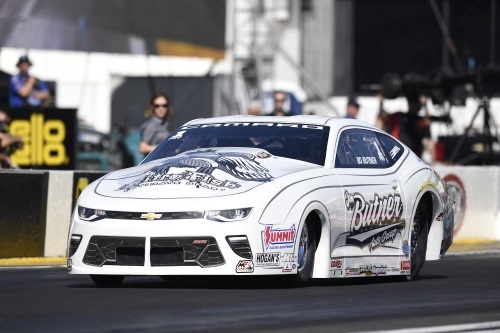 But Butner has qualified well at the past three events, advancing to the semifinals at two of them, including the most recent race at Indy, giving the six-time event winner a much-needed boost heading into the Countdown to the Championship. But Butner is also well aware he will have his work cut out for him during the six-race playoffs, starting this weekend at Maple Grove Raceway. He’s had success at the track in Pro Stock and in the NHRA Lucas Oil Drag Racing Series sportsman ranks, but Butner will be facing off against a loaded Pro Stock Countdown to the Championship lineup that includes points leader Tanner Gray, who has five wins in 2018, Greg Anderson, Erica Enders, four-time race winner Jeg Coughlin Jr., Vincent Nobile, Jason Line, Drew Skillman, Deric Kramer and Chris McGaha. Butner, though, hopes to surprise some people over the next six races to end his 2018 on a good note. Ron Capps will begin his quest for a second Funny Car world title in three years against points leader Courtney Force, reigning world champ Robert Hight and Matt Hagan. Eddie Krawiec has six Pro Stock Motorcycle wins at the track and the reigning world champ and current points leader will try to add to that against Andrew Hines, LE Tonglet and Hector Arana Jr. The event also features thrilling competition in the NHRA Lucas Oil Drag Racing Series, showcasing the future stars of the sport. After Nitro qualifying, fans can watch the spectacular Hanna Motorsports First Strike and Top Secret Eastern Raider Jet Funny Cars. Jet cars are thrust driven propelled by jet engines with exciting pre-run flame shows. The Mopar Mega Block Party will rev up Dodge NHRA Nationals race weekend for the third consecutive year. The free-admission fan event, set to roll into FirstEnergy Stadium in Reading from 4 -10 p.m. ET on Thursday, September 13, will offer a jam-packed slate of fun activities for Mopar and Dodge//SRT enthusiasts. NHRA stars and TV personalities will step to the plate and take their cuts in the annual Mopar Mega Block Party home run derby. Mopar Dodge//SRT NHRA drivers Hagan, Pritchett, Jack Beckman, Ron Capps, Tommy Johnson Jr., and Tony Schumacher will slug it out alongside NHRA on Fox play-by-play announcer Dave Rieff (the defending champ), color commentator Tony Pedregon, and pit reporter Bruno Massel Jr. to determine who will wear the home run crown. NHRA announcer Alan Reinhart will provide the play-by-play. Donations to the Make-A-Wish and Infinite Hero Foundations will be made in the name of the winner of the elimination-style competition. Mopar Mega Block Party attendees can also meet their favorite drivers in a one-hour long autograph session, hop in the cab of the 10-ft. tall Raminator Monster Truck for a once-in-a-lifetime ride and test their virtual racing skills in the “Drag Strip Showdown,” a head-to-head competition in Dodge Challenger SRT Demon simulators. A HEMI-fueled, 100-plus Mopar car show, giveaways, food and drink booths, vendor displays and live concerts by bands Liquid A, Go-Go Gadjet and TJ Bebb are also on tap, with a Mega Fireworks display to close out the night. For more information on the Mopar Mega Block Party, visit www.moparblockparty.com. WHAT: 34th annual Dodge NHRA Nationals, the 19th of 24 events in the NHRA Mello Yello Drag Racing Series and the first of six races in the NHRA Mello Yello Countdown to the Championship playoffs. Drivers in four categories – Top Fuel, Funny Car, Pro Stock and Pro Stock Motorcycle – earn points leading to 2018 NHRA Mello Yello Drag Racing Series world championships. 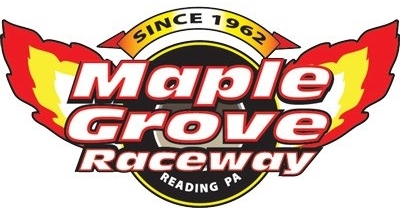 WHERE: Maple Grove Raceway, Mohnton, Pa. Track is located off the Pennsylvania Turnpike (Exit 298), 10 miles south of Reading, Pa. COURSE: Championship drag strip; Track elevation is 548 feet above sea level; Track direction is north to south. MELLO YELLO SERIES qualifying at 2:00 and 4:15 p.m.
MELLO YELLO SERIES qualifying at 1:30 p.m. and 4:15 p.m.
SUNDAY, Sept. 16 – Pre-race ceremonies, 10 a.m.
Friday, Sept. 14, FS1 will televise an hour and a half of qualifying coverage at 7:00 p.m. (ET). Sunday, Sept. 16, FS1 will televise one hour of qualifying coverage at 1:00 p.m. (ET). Sunday, Sept. 16, FS1 will televise three hours of finals coverage starting at 7:30 p.m. (ET). Brittany Force, Top Fuel; Ron Capps., Funny Car; Bo Butner, Pro Stock; Eddie Kraweic, Pro Stock Motorcycle. For tickets call (610) 856-9200. Tickets also are available at www.maplegroveraceway.com.